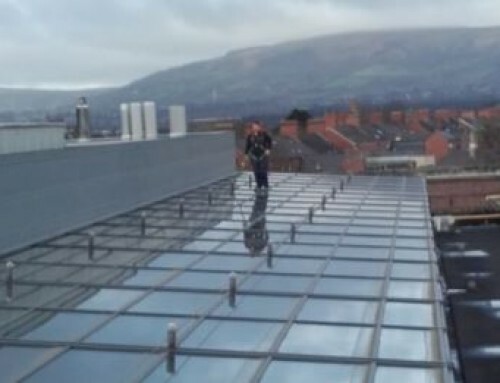 The Crown Court in Belfast heard that a joiner was working with two others fitting panels during the construction of temporary decking, known as ‘skydecking’. The joiner fell over four metres through a hole in the roof, suffering multiple injuries, including broken ribs and a fractured hand. Following an investigation, the HSENI charged both the construction company and an sole trader who employed several men to work on the site. The case against the sole trader was that he had failed to provide safety harnesses for those he employed, to enable them to carry out their work at height safely and that he had failed to assess the risk. In court the sole trader pleaded that he only supplied staff to work on the site and as such was under no obligation, nor was it his responsibility, to ensure the health and safety procedures were followed on the site. During evidence it emerged he had never met the joiner and that on the day of the accident he was working on a different site. Based on this evidence, the jury unanimously acquitted the sole trader. The construction company pleaded guilty to failing, in so far as reasonably practicable, to ensure the safety of persons not in its employment on site and failing to plan work to ensure that the work could be carried out safely. The company received a fine of £2,400.